From social networking iOS apps to Android productivity tools to secure enterprise solutions with integrated backend systems, SPARC does it all. Our strategists, designers and engineers know the software development business inside and out — so you get results that matter. Our iOS development team specializes in building device/ platform specific apps using Java, Objective C, thereby taking full advantage of latest technology available on the devices. We also can build apps that integrate with device features like camera, calendar, contacts, and email. We’ve developed hundreds of cool Android apps on releases from 2.X to 5.X. From Gingerbread to Lollipop, simple phones to custom devices to Android wearables, we’ve done it all. 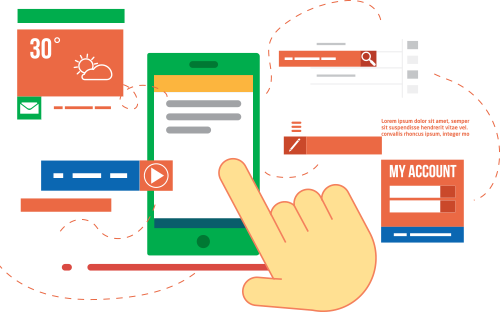 If you need your apps to have the best of both worlds, mobile web and native, then we have the expertise to build hybrid apps using frameworks like phone gap, titanium, and icenium. Let your mobile web app tap into the benefits of device specific features.